A little white is always right! 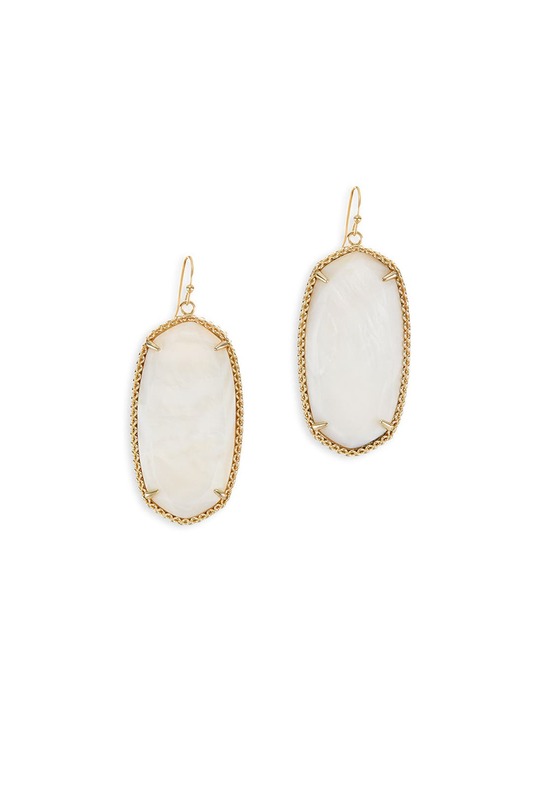 Add a stylish accent to your daytime look with these earrings by Kendra Scott. Also available in turquoise and abalone. 14k gold plated brass surrounding white mother of pearl. Fish hook for pierced ears. 1.63" long and 1" wide. Lightweight. Perfect pop of white to balance my dress for graduation!! Not too, heavy and was the perfect size. Not as heavy as they look. Perfect size. Classy, yet modern. Perfect compliment to my outfit! Not too heavy. Great pop of color! I forgot to wear them! Wahh! But they were really pretty! Wore these in a wedding and they were prefect! Bold, but not flashy. Loved them! These KS earrings were beautiful and elegant, but versatile. A tad heavy, but overall...I loved them! I love this earrings. Will probably rent again....and again. 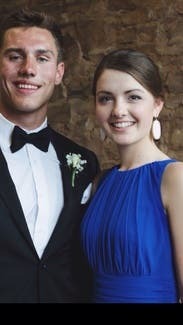 Rented these to wear with a RTR dress to a formal wedding. These were very pretty but larger than I was expecting - I ended up not wearing them because they just looked too big. 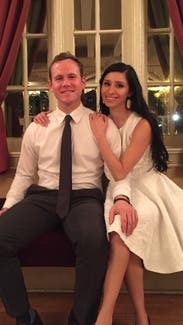 I was scared these would out do my dress and weight to much, but they matched beautifully with my dress and the occasion (engagement dinner). I'm definitely going to look into owing a pair of my own! They are lighter then I thought they would be, but they were a very fake material. Still fabulous and would rent again. I have rented these earrings in many different colors. They did not disappoint! I love the white in the summer. Thanks for a great rental! Very heavy, but not unbearable! They went perfectly with the dress! These earrings were much bigger and heavier than I expected. (My fault, I didn't calculate the size). This ended up being great, though! They were more of a statement piece than I expected, and in a good way. Went great with the dress. Wish I owned them! 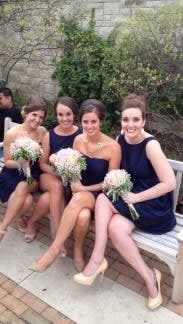 They matches my dress and we're comfortable! Beautiful earrings! These weren't delivered in time for my event, though. Gorgeous earrings!!! I absolutely will rent these again! 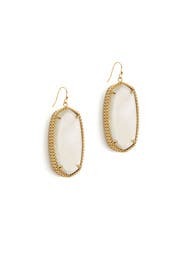 The settings on these earrings are fancier than the typical Kendra Scott earrings-making them really stand out. They came in on time and they were just so beautiful. 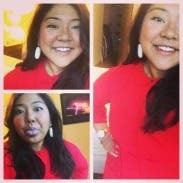 They were lighter than I thought no never wear dangly earrings and these Kendra Scott earrings were just gorgeous and complemented my dress. It have my outfit the best finish ever. 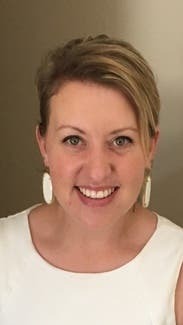 These earrings were perfect for a formal event and a night out. Other than the they were very very heavy I would definitely recommend them for ! I rented these for a wedding. I wore them with the Clover Canyon Garden Plaid Sheath dress. They worked very well together. They were not super heavy, but we're a little uncomfortable at the end of the night after wearing them for 10 hours and dancing a lot. Beautiful and perfect size. Not too heavy. Loved. A bit heavy but overall fine. I just wasn't wowed by them. 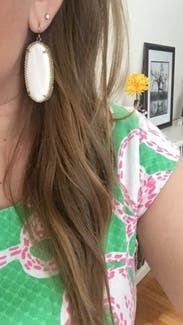 I rented these earrings to go with my Lilly Pulitzer dress (also from RTR) for my graduation. I'm so sad that I have to send them back. I felt like they completed my outfit and I'd recommend them to anyone. I just want to note that they were a little heavy so they might be uncomfortable for someone who isn't used to dangly earrings. They were 5 stars in my book! These weren't heavy at all! I wore them for my bachelorette party. Everyone loved them and complimented them all night. 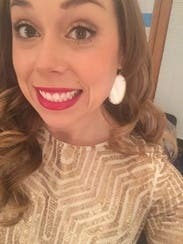 I loved wearing these Kendra Scott earrings! At first I was worried that they would be too heavy from reviews, but I had no problems. I wore them to an outdoor concert then the next morning to brunch. These earrings can be worn dressed up or dressed casually. Classic piece that I will probably rent again! 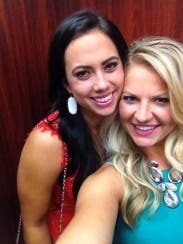 Kendra Scott always JUST WORKS!!!! These earrings will literally go with anything! 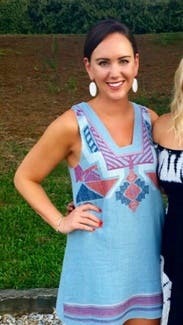 These are large Kendra Scott earrings and are very heavy. I did not wear them. very pretty- a little bigger then expected and heavy but worth it! Great quality earrings. I paired them with the Milly Sophia Lace Shift dress. The other reviews said these were bigger than you'd expect, but I still thought they would be smaller! 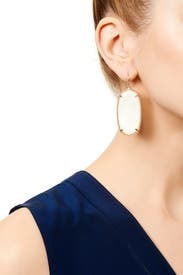 They worked great for my formal, though, but I wouldn't feel comfortable wearing earrings this big with a casual outfit. These came in my first Unlimited shipment and I really loved the bright white punch they added to a nautical outfit I was wearing. Slightly bigger than I thought they would be and definitely too heavy to wear for more than say six hours without a break, they're a really good everyday into cocktail attire addition. They were a lovely addition to my outfit that tied everything together. They were a bit heavy for me but then again I'm not used to dangly earrings like these. They are very lovely and would do any outfit with the appropriate coloring justice. 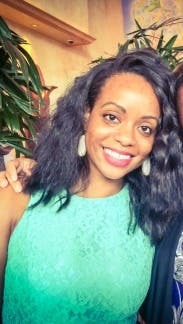 I wore these earrings to a rehearsal dinner and I got so many compliments on them. They weren't too heavy either. 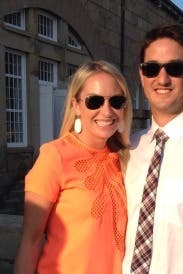 Wore these to a wedding rehearsal dinner along with a summer dress! Perfect piece of jewelry! Didn't have to wear any other!